Earlier this month, Dan Condon, Eagle Rock’s Associate Director of Professional Development — along with three of our 2018/2019 Public Allies Fellows — attended the School Reform Initiative Fall Meeting in San Antonio, Texas. Joining Dan in representing Eagle Rock were Doen Lee, Professional Development Center fellow, Kim Tellez, Societies & Cultures fellow, and Zach Greimann, Math fellow. For those unfamiliar with it, the School Reform Initiative (SRI) is an independent, Denver-based organization that creates transformational learning communities that serve thousands of educators and students throughout the United States and elsewhere. The non-profit specifically targets educational equity and excellence, and its annual fall meeting attracts educators for the purpose of fostering a community of learners to practice the skills, habits, and dispositions of professional collaboration and reflective discourse — using SRI’s protocols and resources. Our attendees used the time in San Antonio to renew their commitment to educational equity and excellence while rekindling their passion for teaching and learning. 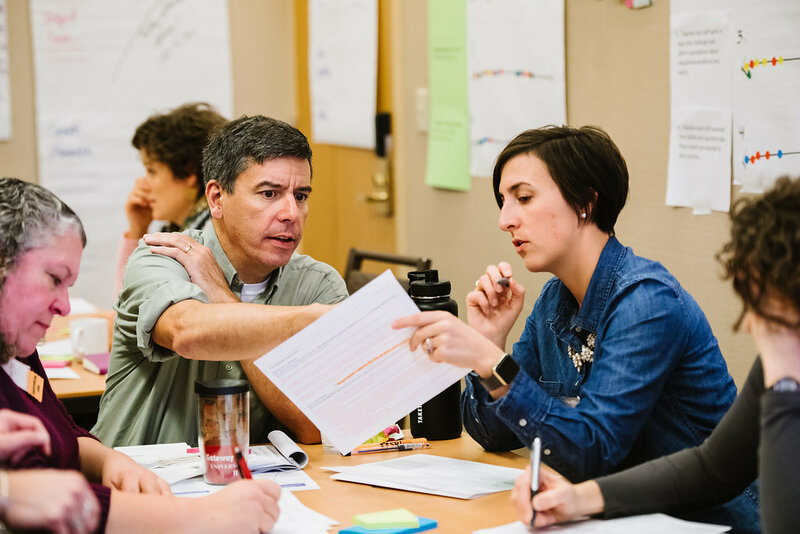 One of the things that made this possible was the event’s Collaborative Learning Groups, where the focus was on actively engaging in complex, challenging, and spirited conversations about teaching, learning and leading. The result of these small group learning experiences was the opportunity to hone skills and learn new approaches to teaching. The Eagle Rock team also spent more than 10 hours over the course of the three-day event participating in Collaborative Learning Groups, which were co-facilitated by SRI affiliates. At this year’s event, Dan Condon presented a 90-minute Learning Experience on the topic of improving teacher preparation and new teacher support. Dan’s session, aptly titled “Improving Teacher Preparation & New Teacher Support,“ focused on leveraging the tools of improvement science, as well as how to engage in short term coaching cycles. The School Reform Initiative hosts educational events several times each year. For more details, visit the School Reform Initiative’s Event’s page. This entry was posted in School Reform Initiative and tagged Dan Condon, Doen Lee, Improvement Science, Kim Téllez, New Teacher Support, School Reform Initiative, SRI Fall Meeting, Teacher Preparation, Zach Greimann.